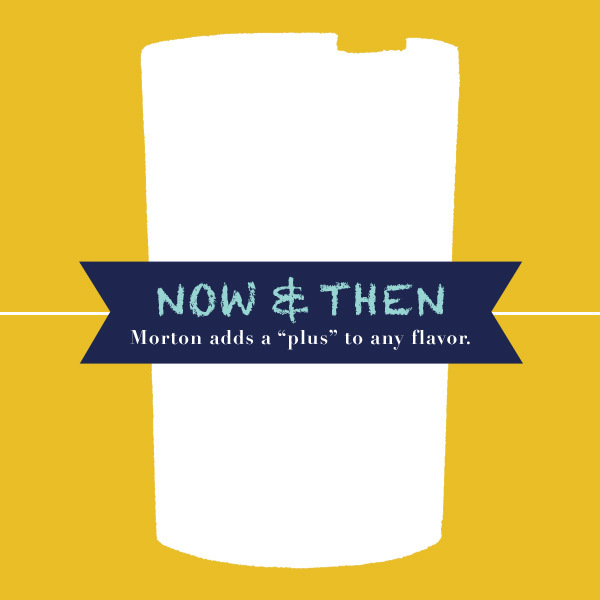 For this week's Now & Then, I'm actually kind of torn. Usually I go for the older product design, but in this case, there are things I like about both. In the 1956 version, I love the dotted oval, but the lack of elements makes it feel too bare, to some degree. In the 2012 version, I love the navy and teal, and the color blocking, but all the text in the bottom three lines leaves it a bit jumbled. If they took that out, I think I would vote for today's design. How about you? Which one do you like better? I like the 2012 design, it captures the charm of the old and mixes it with a modern theme. I like the purple umbrella better than the yellow. 2012 wins for me. I have to go with 2012 mostly because that's the girl from my childhood. 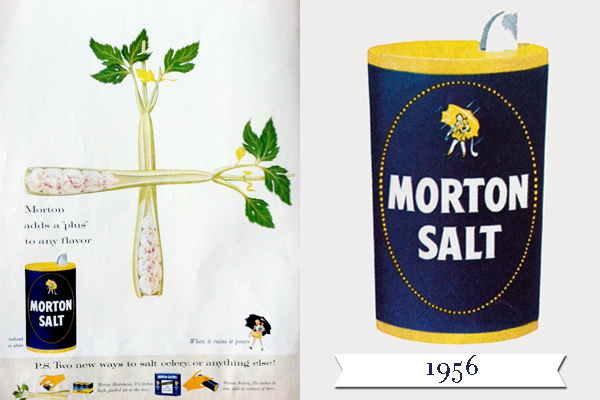 I had an umbrella when I was a little kid that had a yellow plastic Morton's salt girl as the handle. Loved that umbrella. I really like your Now and Then posts! How fun! 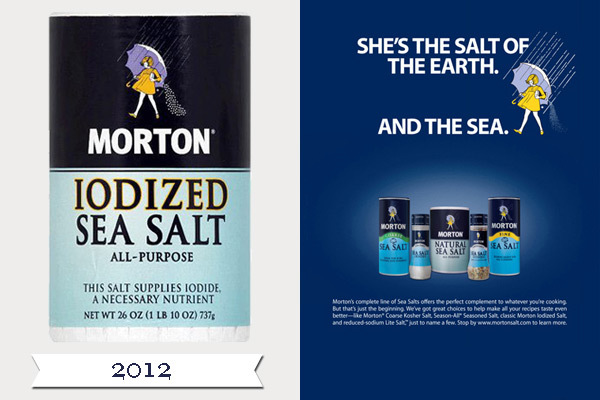 I've always loved the Morton Salt packaging. I like the old one best...probably just cause it's from an era that was more easy going. Jamie from @owlreally sent me over to take a peek!! Nice blog!